Available in print from The Children’s Bookshop, Retrospace, and other good bookstores. New Zealand’s National Museum, Te Papa Tongawera, is not simply a place to get out of the Wellington wind. It is Our Place, the place where we keep our stories, our treasures, where we remember where we came from, and where those beginnings might lead us. It is a place which reminds us of our connectedness. 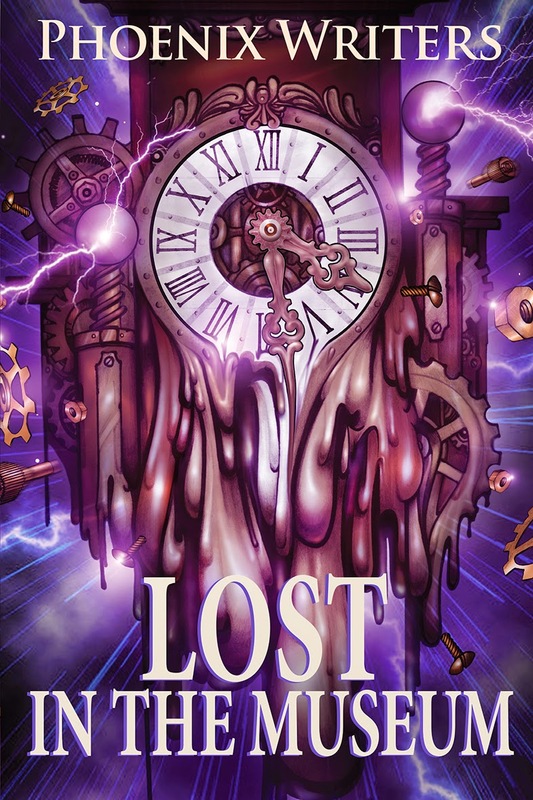 Inspired by this theme, Lost in the Museum is a collection of stories, connected not only by the magic of the artefacts—recognisable to anyone who has visited the museum—but also by the museum’s employees, its visitors, the lost children, wayward spirits, toy telephones, even the lifts get a mention. The stories journey—sometimes at breakneck speed on John Britton’s V-1000—through history, through time, guided by fictional Director Tui Merriweather, and the corridors cleared by resident ghost-buster, Miss Evangeline Marple. They follow the lives of goddesses, ghosts, kings, a cross-dressing bridegroom, a misplaced ice-cream vendor, and a stray pterodactyl. Tutankhamen makes a quick appearance. Of course, while our national museum is a place of quiet reflection and historical import, it isn’t immune to the vagaries of office life. Like any other institution it is affected by inter-departmental politics, office romance, IT security issues, attempted robbery, and rampaging hordes of time-travelling Vikings, all of which have been chronicled in this full accounting of museum life. A rollicking cavalcade of adventures, Lost in the Museum features writing by members of Phoenix Writers, including international names like Phillip Mann, Tim Jones, Lyn McConchie and Glynne MacLean, as well as some excellent tales by newer writers. A favourite story? It’s hard to single one out, especially since the stories are so closely connected, but I particularly enjoyed Jeena Murphy’s Queen of Heaven for her characterisation of the great Queen Semiramis, and her twisted, and yet startlingly appropriate, conclusion. Beautifully presented, with stunning cover art by Geoff Popham and interior artwork by William Carden-Horton, Lost in the Museum something of a taonga itself. Having read this I can say that this is an aptreview.